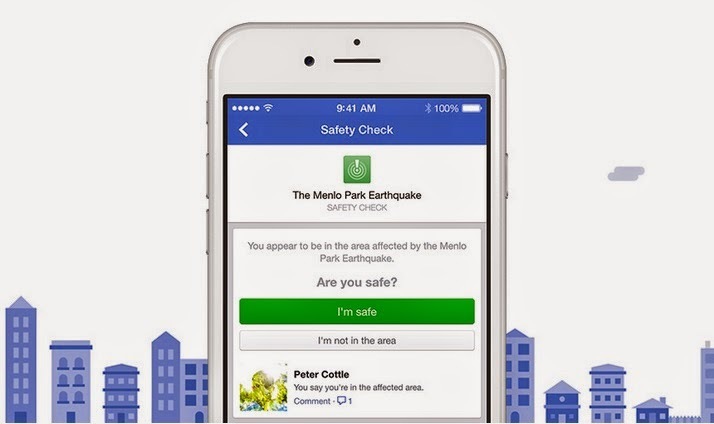 VIDEO: Facebook launches Safety Check tool | How it Works? 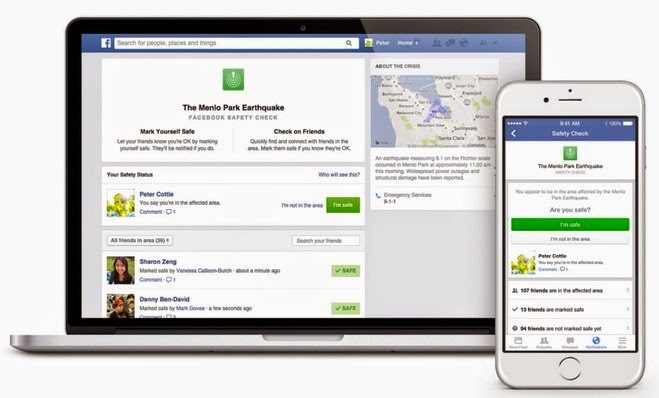 Leading social network in the world Facebook officially launched today, October 16, 2014 a helpful tool that people can use when major disasters strike, the Safety Check - a simple and easy way to say you’re safe and check on others. Facebook CEO Mark Zuckerberg led the announcement of Safety Check and has posted this message on the social network: "Over the last few years there have been many disasters and crises where people have turned to the Internet for help. Each time, we see people use Facebook to check on their loved ones and see if they're safe. Connecting with people is always valuable, but these are the moments when it matters most." Only your friends will see your safety status and the comments you share. The project has started after a disaster happened in Japan in 2011. Facebook engineers took the first step toward creating a product to improve the experience of reconnecting after the catastrophic event. They built the Disaster Message Board to make it easier to communicate with others. This project soon became Safety Check, which will be available globally on Android, iOS, feature phones and desktop. 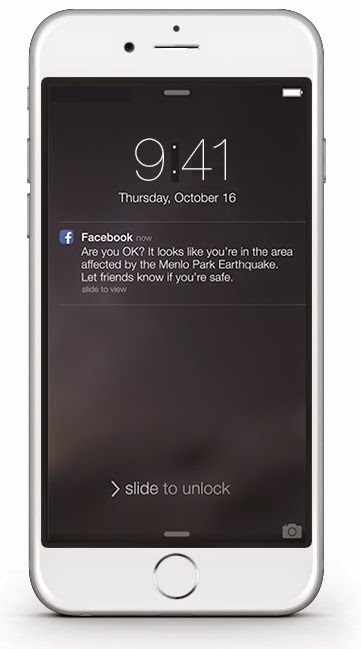 When the tool is activated after a natural disaster and if you’re in the affected area, you’ll receive a Facebook notification asking if you’re safe. Facebook will determine your location by looking at the city you have listed in your profile, your last location if you’ve opted in to the Nearby Friends product, and the city where you are using the internet. If Facebook get your location wrong, you can mark that you’re outside the affected area. If you’re safe, you can select “I’m Safe” and a notification and News Feed story will be generated with your update. Your friends can also mark you as safe. If you have friends in the area of a natural disaster and the tool has been activated, you will receive a notification about those friends that have marked themselves as safe. Clicking on this notification will take you to the Safety Check bookmark that will show you a list of their updates.